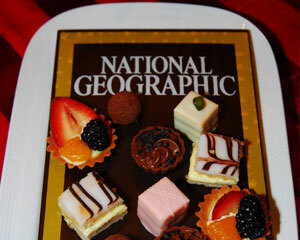 National Geographic Society's inaugural Evening of Exploration: Oceans event. Through decades of personal and professional involvement in the world of environmentalism, sustainability, and conservation, the Gardner/Mills Group, LLC principals understand the sensitivities of the issues and complexities of stakeholder interests. We bring the depth and breadth of our knowledge and experience to each project. 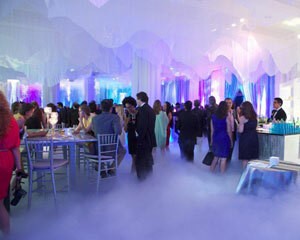 Helped conceive and provided fundraising strategy support as well as event planning and logistical services for the inaugural and second annual fundraising event held at the American Museum of Natural History in New York City, attended by 500 guests. Visual historian/filmmaker Ken Burns presented the Prize to historian/author David McCullough with a special tribute by Tom Brokaw in 2017. In 2018, Tina Fey paid tribute to Ken Burns and honoree Maya Lin. Both events featured specially commissioned live music. Retained again for the 2019 Prize presentation. Since 2005, implement the Washington, DC program to introduce the six international awardees of the respected Goldman Environmental Prize and acknowledge the commitment and critical work each is performing to improve the environment in their respective countries. Multi-faceted audio-visual program narrated by Robert Redford and remarks with simultaneous translation with VIP and General receptions. 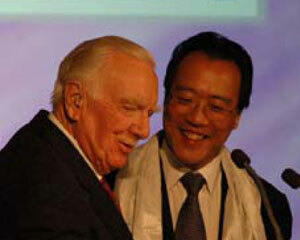 For 2005-2008, the event took place at the National Geographic Society headquarters with 400 guests. 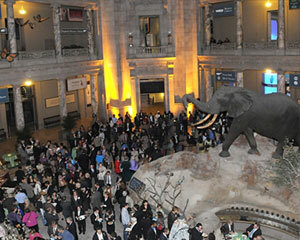 For the 20th Anniversary of the Prize in 2009, the event was moved to the National Museum of Natural History where it was held before a standing-room-only crowd of 600 for four years before moving to the Ronald Reagan Building and International Trade Center. Keynote speakers have included journalists Thomas Friedman and Dr. M. Sanjayan, National Geographic correspondent Boyd Matson, and cartoonist Jim Toomey. 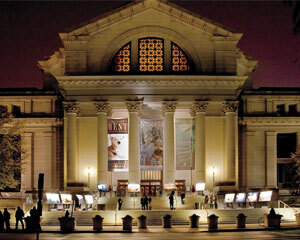 GMG has been retained again for the 2019 ceremony to be held at the National Academy of Sciences. 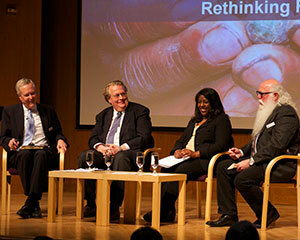 Provided overall logistical support for a panel discussion on The Future of Food moderated by James Fallows of The Atlantic followed by a dinner for 250 guests at the National Museum of American History featuring presentations by Google’s Urs Hölzle and wildlife artist Walton Ford. Handled logistics for the ceremony hosted by CEO Gary Knell and honoring the Society’s Explorer of the Year Bryan Christy, Adventurer of the Year Kilian Jornet and the Buffet Awards for Leadership in Conservation, Dr. Benezeth Mutayoba from Tanzania and Dr. Enriqueta Velarde from Mexico. 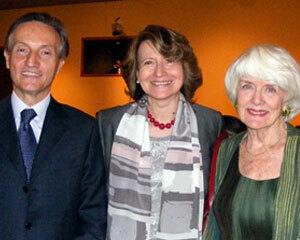 Held at the Society’s DC headquarters, the ceremony was followed by a reception and attended by 350 special guests. 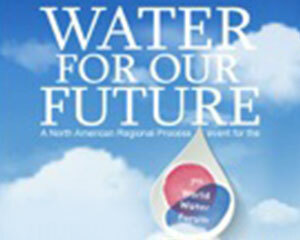 Provided event planning services for this one-day gathering of 200 held at the Council on Foreign Relations to help set the agenda for the 7th annual World Water Forum in spring 2015 in South Korea. Supported WWF in identifying venues and organizing a panel discussion moderated by Time magazine Bureau Chief Mike Duffy followed by a dinner with featured speaker Dr. Jim Yong Kim, President of The World Bank. Held at the Corcoran Gallery of Art, the event was attended by the organization's Board and Council Members and other special guests. 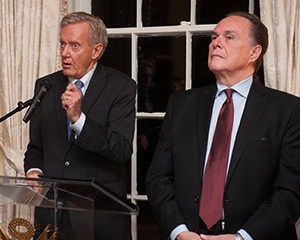 Organized an intimate reception hosted by The Honorable Bruce Babbitt and held at the residence of His Excellency the Ambassador of Peru and Mrs. Forsyth to celebrate the 40th anniversary of Peru's Manu National Park. Special Peruvian menu and traditional Pisco Sours were served. 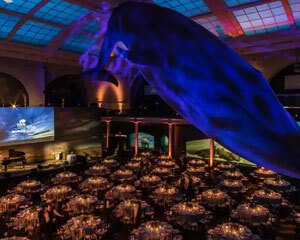 Provided event planning services and fundraising support to help conceive and execute the 125th Anniversary Gala of the National Geographic Society. 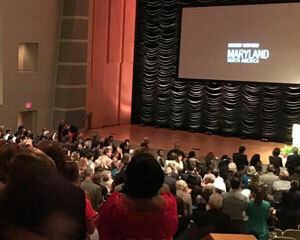 The sold out event was held at the National Building Museum and featured the presentation of historic medals and awards to renowned explorers and adventurers including James Cameron, BASE-jumper Felix Baumgartner, Dr. E.O. 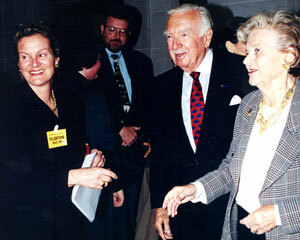 Wilson and Dr. Sylvia Earle. The evening included a 90 foot screen, a specially commissioned rendition of the famous National Geographic fanfare along with a VIP and general reception, dinner with program, and after-party with deejay. 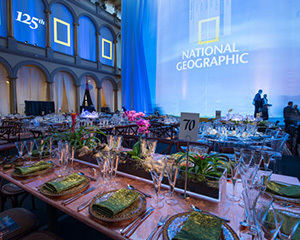 Handled all logistics and provided strategic fundraising advice for a kick off event to launch the 125th anniversary year of the National Geographic Society. 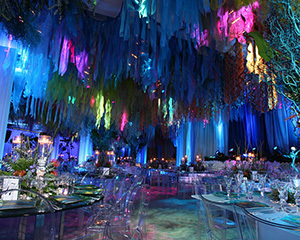 Held at the National Geographic headquarters, the capacity event included an awards presentation to oceanographer Don Walsh, explorer Bertrand Piccard and mountain-climber Gerlinde Kaltenbrunner followed by a water-themed party with menu by Chef Barton Seaver and dancing. 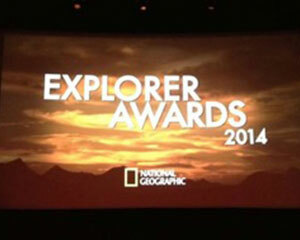 Helped conceive and managed all logistics for a new major annual fundraising event to celebrate and benefit the Emerging Explorer’s Program at the National Geographic Society. Co-Chaired by Catherine & Wayne Reynolds (DC), Gayle & Ed Roski (CA) and Christine & Stephen Schwarzman (NY) and attended by National Geographic’s famed explorers and photographers, the June 2011 oceans-themed event was held during the Annual Explorer’s Symposium at the Society’s headquarters in Washington, DC and featured a performance by Jack Johnson. Provided event planning services, including hotel and venue research and contracting and speaker logistics, for the inaugural Summit titled "Empower and Thrive: Creating New Pathways for Development and Conservation" attended by 300 guests andincluded a pre-Summit speakers dinner. Consulted this start up non-profit on fundraising strategy and offered event planning guidance for a launch event for 200 guests at the Italian Embassy hosted by Ambassador and Mrs. Claudio Bisogniero. 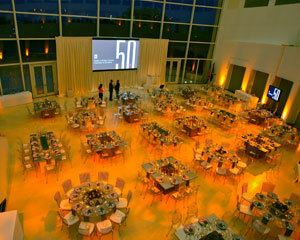 Provided event planning and logistical support for two evening events to celebrate WWF's 50th anniversary -- a reception and dinner at the Supreme Court of the United States, including the U.S. premiere of the newly commissioned Fanfare for the Tiger, performed by members of the National Symphony Orchestra, and a private performance by pianist Lang Lang; and a reception and dinner at the United States Institute of Peace, with special presentation by photographer Frans Lanting. 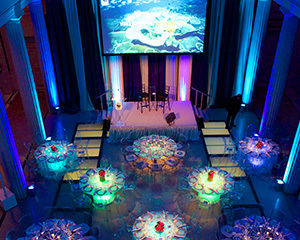 Provided event planning and logistical support for the Forever Costa Rica Celebration at the Smithsonian Institution’s National Museum of the American Indian in Washington, DC to launch this new public/private conservation partnership. The evening brought together representatives of the Costa Rican Government, including Vice President Luis Liberman; top leadership of the four project partners: the Linden Trust for Conservation, the Walton Family Foundation, the Gordon and Betty Moore Foundation, and The Nature Conservancy; and other key donors, representatives from other NGOs, and pro-bono attorneys from both Costa Rica and the U.S. Coordinated logistics for the Windland Smith Rice International Awards and the opening of the exhibit at the National Museum of Natural History. Attended by 400 guests, the evening included a VIP reception, program and general reception, and special one-night only photographic display. 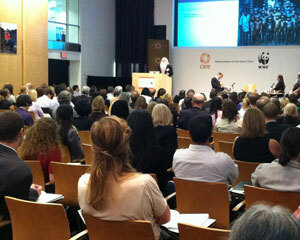 Provided meeting planning services for this Washington DC-based environmental research organization. 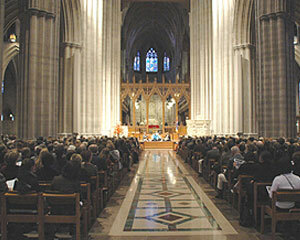 Helped conceive and organized the memorial service at the Washington National Cathedral to honor 24 conservationists who lost their lives in a helicopter accident in Nepal. 700 people attended the ecumenical service. On the occasion of Gilbert M. Grosvenor's 75th birthday in May 2006, GMG coordinated the logistics, choreographed the international entertainment, and produced a vibrant and exciting program to attract financial support for this first ever National Geographic Society sponsorship event and the launch of a new geography education fund in Mr. Grosvenor’s honor. With Tom Brokaw as emcee, the Society's leadership, distinguished international diplomatic, business, and cultural leaders, and the Society’s renowned photographers and explorers attended this 1,000-guest black tie and national dress gala to honor Mr. Grosvenor's lifetime of achievement and contribution to geographic learning in classrooms throughout the United States. 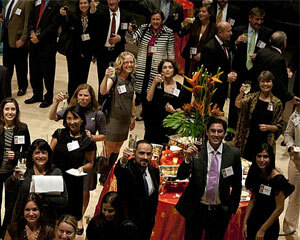 Helped conceive strategy for and managed all aspects of the reception, including list development and media relations, at the Organization of American States, Washington, DC hosted by His Excellency the Ambassador of Costa Rica for this international institution that promotes science, technology and entrepreneurship. Working closely with Mr. Cronkite, Yo-Yo Ma's Silk Road Project and Mickey Hart (former Grateful Dead drummer) and his band, coordinated reception, dinner and program with performances. The National Geographic Society and Smithsonian Institution also were involved in the evening's program which celebrated the rich culture of Bhutan. Developed audience, secured corporate support, and managed event at the National Geographic Society hosted by a Congressional delegation to showcase Gabon’s national park system and Dr. Fay's megatransect of Africa. Secured corporate support for this new visitor center film and coordinated the national premiere for 1,000 guests at the Department of the Interior for Yellowstone National Park and the World Foundation for Environment and Development, followed by a VIP dinner off-site. Provided pre-event logistical support and on-site event management in Budapest, Hungary for the Program for Capacity Building in Science. Managed all aspects of an international Forum in Miami, Florida for 200 attendees including registration, ground transportation, meals, and off-site dinner, conference presentations, and meeting logistics. Provide consulting and outreach services to secure sponsors for this global climate change conference and awards dinner in Washington, DC, headline sponsored by the U.S EPA and organized by the Association of Climate Change Officers, Center for Climate and Energy Solutions, and The Climate Registry.